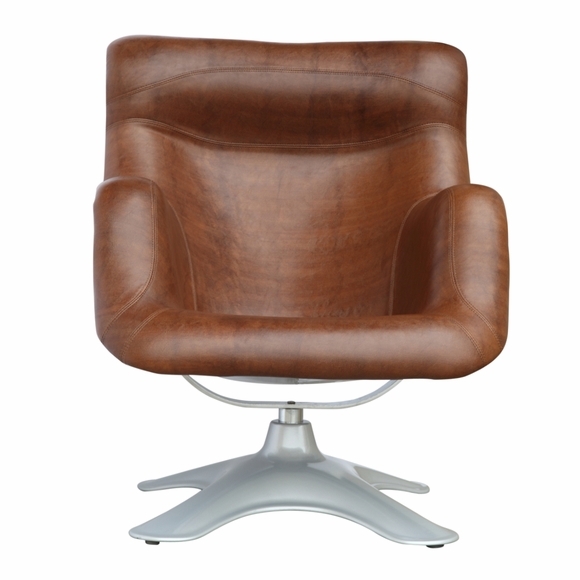 Designed with comfort in mind, our Spring High Chair is reminiscent of Eames' mid-century styling. 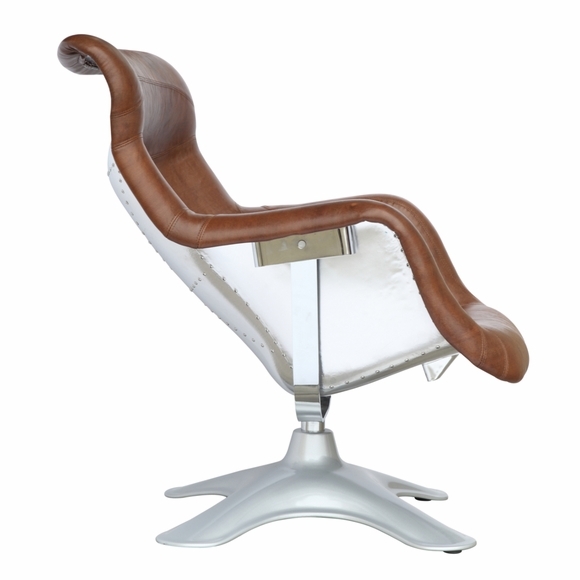 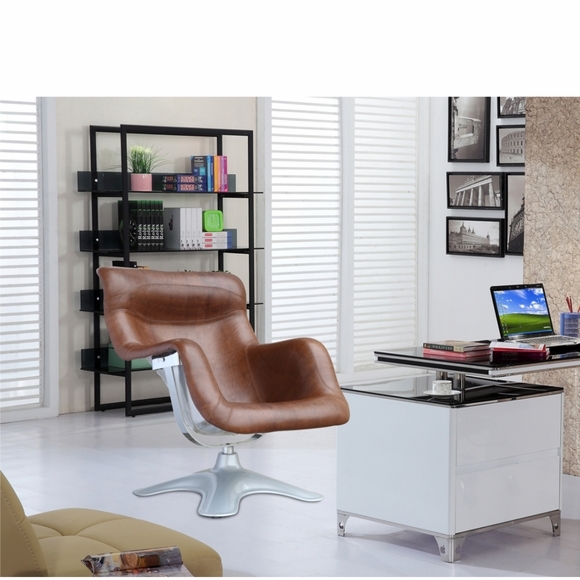 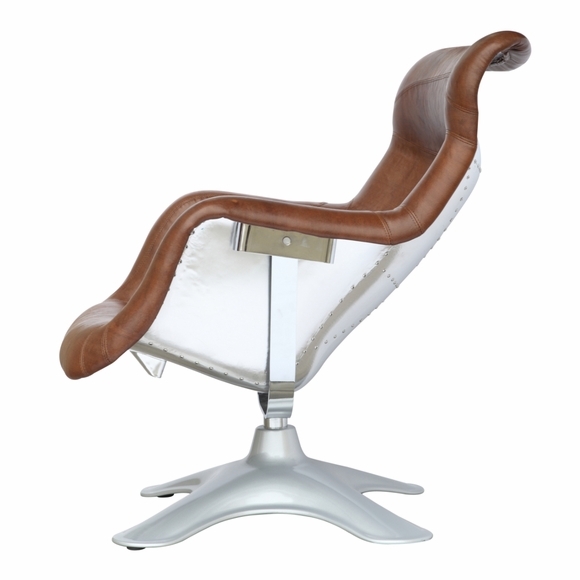 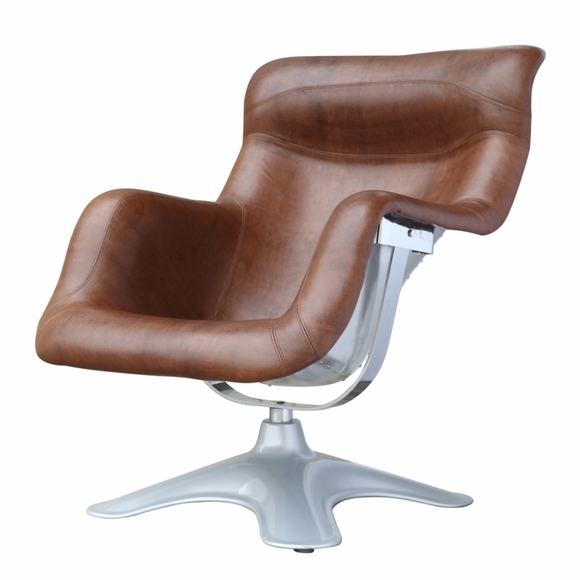 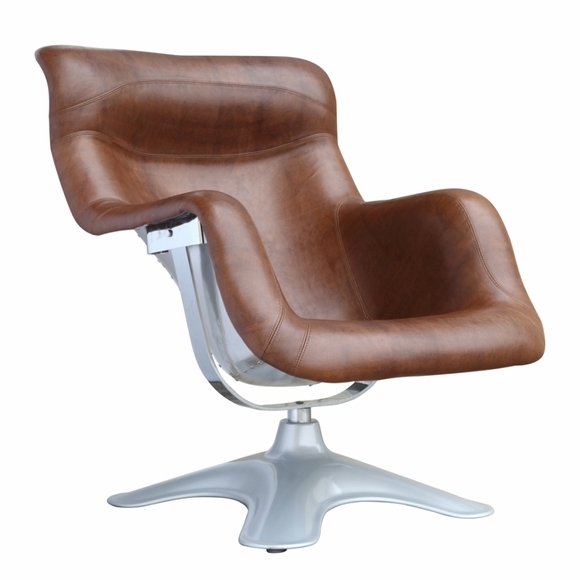 Molded arm rests, an angled back and padded neck support are all thickly cushioned and covered in a rich genuine leather. 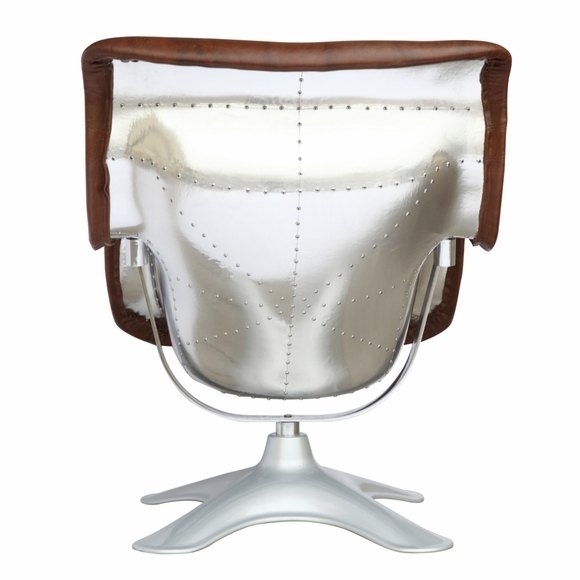 The seat base is sturdy fiberglass covered in aluminum with rivet accents and a polished stainless steel frame.